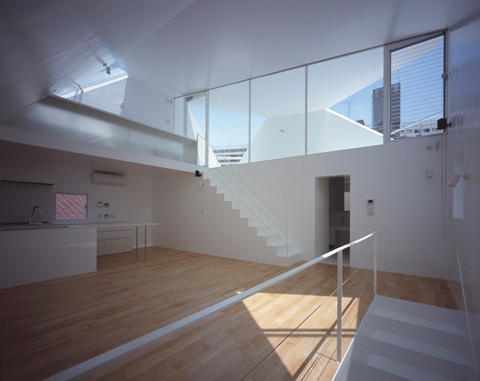 Transparency and openness are something you must appreciate, precisely in densely populated Japan. 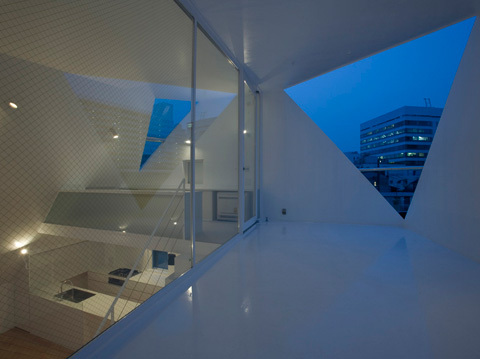 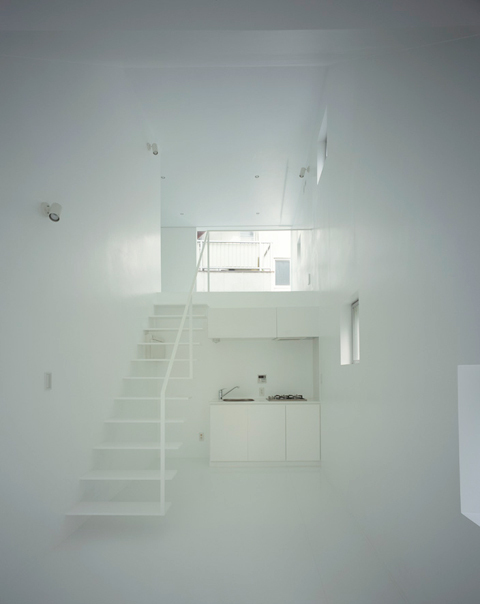 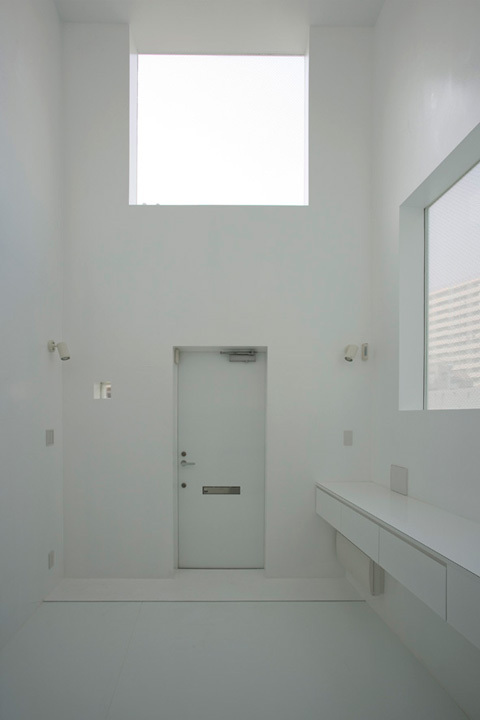 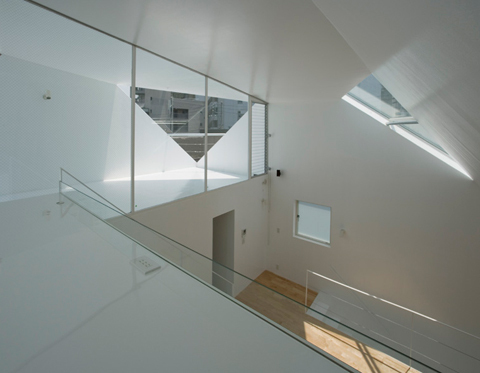 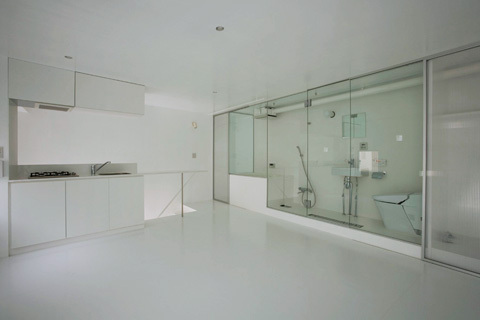 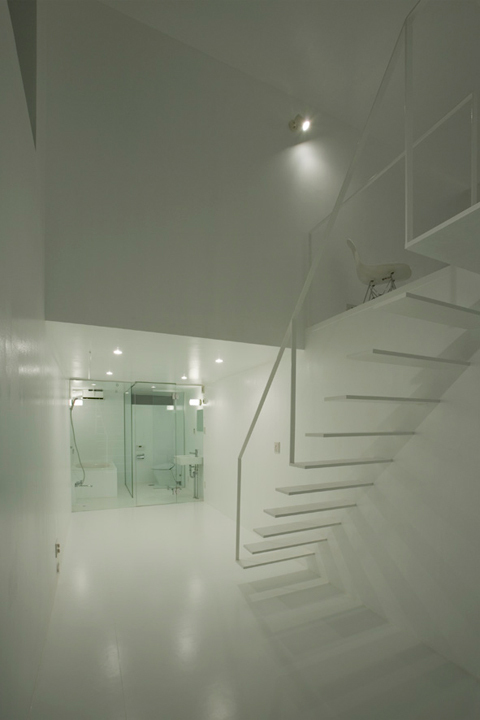 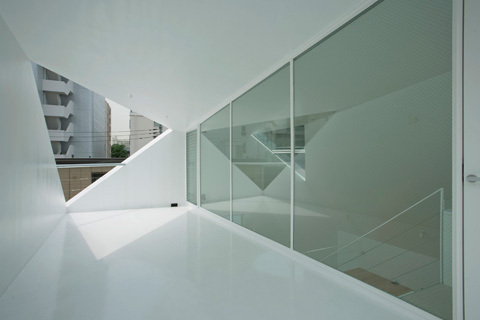 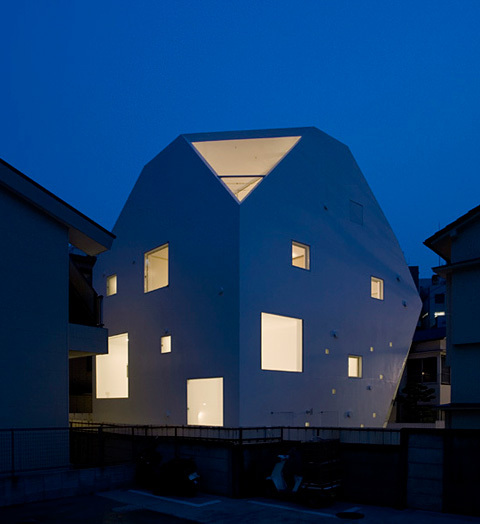 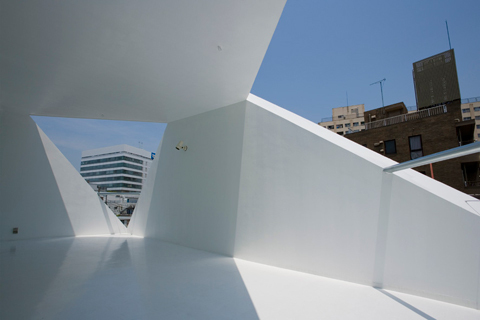 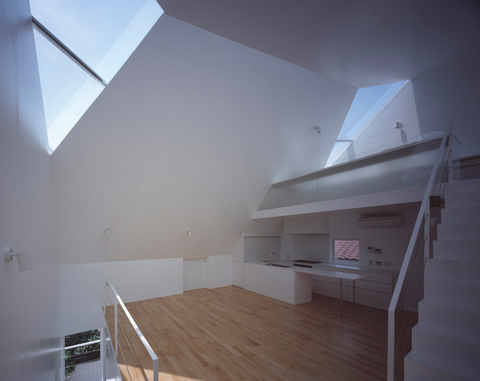 Centrally located in a side-street in Tokyo's Shibuya-Ku district, the developers expected the architects at A.L.X. 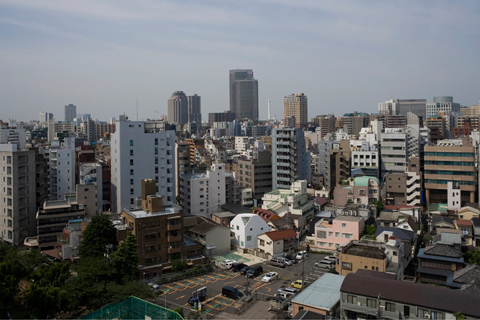 to conjure up no less than five residential units. 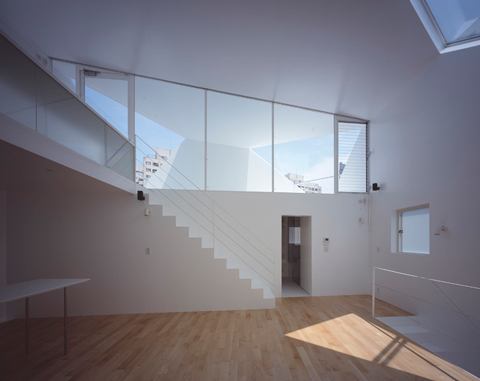 The apartment relate perfectly to one another and the neighboring buildings - with their marvelously calibrated ratios of free groundplan, broad openings, and the requisite private domains. 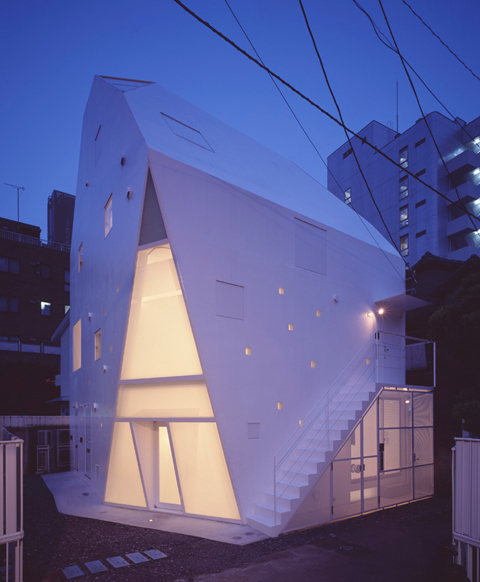 Each of these unusually designed and essentially asymmetrical facades offers a special view of its own, depending on the angle from which you approach the building. 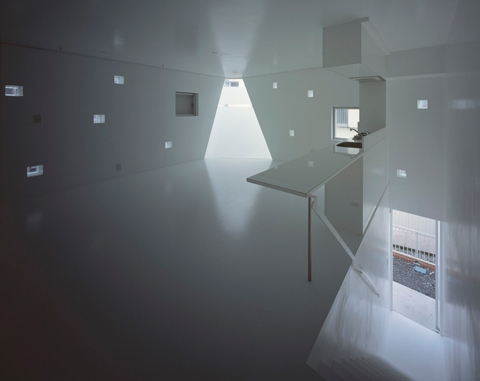 The limits set by the building site created real headaches for the architects when it came to ensuring that all the apartments enjoyed sufficient light and had their own views out. 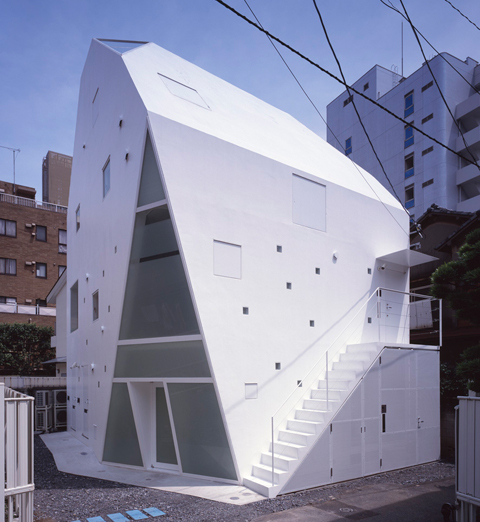 The result was a footprint shaped like a parallelogram, and yet each of the residential units was developed in its own way and its position within the building is not apparent from the outside. 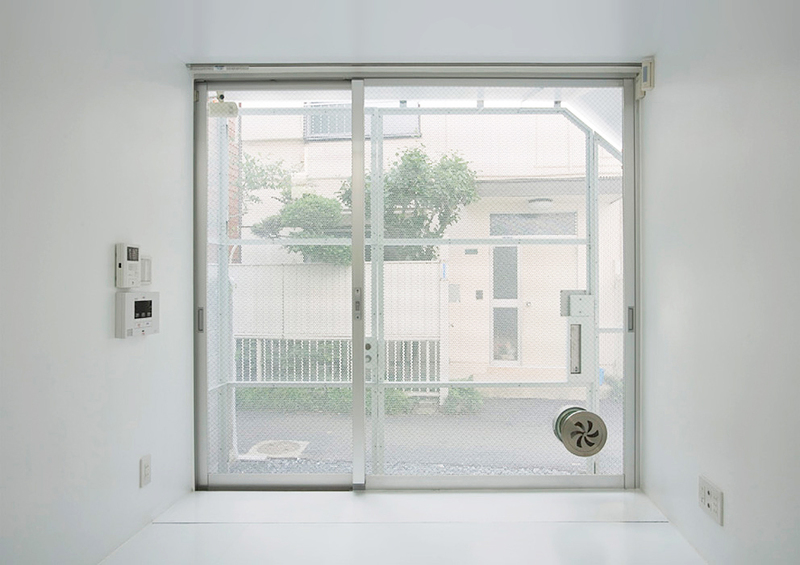 This provides the due sense of privacy within what is otherwise a decidedly open house.